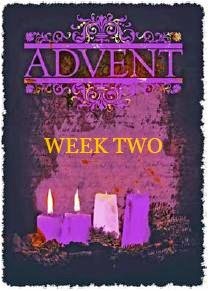 As promised, we will continue with our Advent reflections. Last week we lit the first purple candle on our wreath. This was lit as a symbol of Hope. We looked to the future with hope! This past Sunday we lit the Bethlehem Candle. This candle symbolizes what it is to prepare the way for the coming of Christ. What can we do in today’s society to prepare for the way for Christ? Now, let’s be honest… If a man dressed in rags, lived in the trees by Tom Lee Park, ate bugs, preached about the coming of the Messiah saying that everyone must repent for their sins, and be baptized in the waters of the River Mississippi… I would go out on a limb and guess they are more likely to end up at 201 before being able to amass a large following of people. This past Sunday, our Priest-in-Charge The Rev. Sandy Webb shared his thoughts on John during his sermon. “…the world does not need another John…”. When I look around at everything that is happening in our world, I would have to agree…we do not need another John. I would be afraid of how we would respond to him anyway. Father Sandy continued by saying that “…the world needs the one whom John prepared the way.” Again…I would be fearful of how we as a society would treat this person. Last week we were hopeful. Hopeful for a better future and asked the question of whom shall the Lord send? I remember when I was younger, some of my favorite days where days that you walked into school and saw that you had a substitute teacher…In my naïve mind, substitute teacher meant free day. Just about 99% of the time I was wrong. The teacher would always have prepared a lesson plan well in advance. A lot of the time the teacher had spoken with the sub and had fully prepared them for what we were working on in class that day. And more often than not, most of these subs were either former teachers or were perfectly qualified to be full time teachers…they just stepped right in and continued on just like if the teacher had been there. Of course, as students, we would push the boundaries of what we could get away with a little bit more but we would still always end up getting busted. Now that I am older, I can look back at those situations and understand better what was going on during these times. Your teacher would do their best to make sure that the substitute was fully prepared to keep things going as if the teacher were still there. It would always have a different feel because each person has a different teaching style and a different way of dealing with certain situations. At first the sub is trying to continue on with what the teacher had prepared. After a little while they will begin taking what the teacher had prepared and tweaking it a little bit so that it fit to their style of teaching. Perhaps if they were there long enough they would just be teaching their own lessons. They were no longer necessarily on the path the teacher had set from the beginning, but they were trying to keep things going with what they thought they should be doing. Now, most of you may be reading this and thinking….yes, we understand how the school system works…what does this have anything to do with Advent! Let’s look at this scenario again…but change some things. Instead of teacher what if we say Jesus. What if instead of substitute we said ourselves. The longer we are without Jesus, the further off his path we get and the more on our own path we get. We also do not carry the same amount of credibility as Jesus so a lot of people think the exact same thing that I did back then..Free day! The job of the substitute teacher was help things carry on while the teacher was gone. It was not to press play on a movie. They would continue teaching, class would move on…and that is what we need now. But we do not need to look to one person to accomplish this. Each Sunday as we send out our Eucharistic Visitors we say this line, we who are many are one body; because we share one, bread, one cup. We are all one in the Body of Christ. The world does not need another John to come and prepare the way for Christ. We have plenty of Johns already on earth. We just need the Johns to stop teaching and living from their own agendas and lesson plans. We are the ones that need to prepare the way. John has done his part in preparing the way. His message is with us. What can we do to prepare the way?